Sydney McLaughlin confirmed her super talent at the New Balance High School Nationals on Sunday (June 19). The 16-year-old American improved the all-time under-18 400m hurdles best to 54.46 in North Carolina and missed the official IAAF world under-20 record by 0.06. It was also a US under-20 record. She will next compete at the US Junior Championships next weekend in Clovis, California, before turning her attention to next month’s US Olympic trials in Eugene. Also of note is Champion Allison winning the boys 200m in 20.71 (+1.1), Jayda Kirkland clocking 23.15 (+1.6) in the girls 200m and Tyrese Cooper (born 2000) running 45.69 in the 400m. World-class pole vault competitions will be showcased in and out of the Letzigrund Stadium in Zurich, informs Weltklasse Zurich organisers. The women will compete a day before the main programme at the Zurich Main Station on August 31, while the men will compete in the main stadium the following day on September 1. 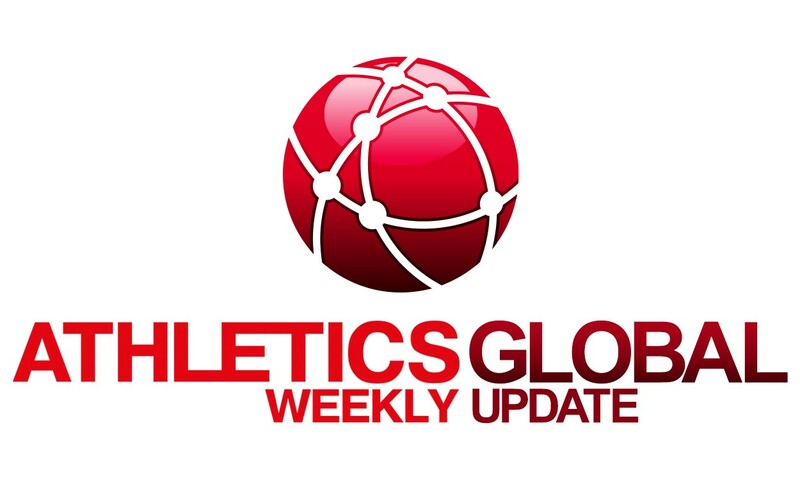 Nicole Buchler, Ekaterini Stefanidi and Fabiana Murer are the top names in action in the women’s event, while Renaud Lavillenie and Shawn Barber go head-to-head in the climax of the Diamond Race the following day. Admission to the Zurich Main Station for the women’s event is free. The second day of the adidas Boost Boston Games saw sprint events take place on a temporary track at Charles Street on Saturday (June 18), with Marvin Bracy beating Yohan Blake by just two thousands of a second in the 100m. Their exact times were 10.223 and 10.225 (0.0). Another top member of the Racers TC, Warren Weir, false started. Also in the 150m there was a false start from a Jamaican Nickel Ashmeade. Here the win was by Antigua’s Miguel Francis in 14.93 (0.0) ahead of Alonso Edward with 15.10 and Sean McLean with 15.24. Ronnie Ash won the hurdles in 13.39 (+0.1) over Orlando Ortega’s 13.41. Michael Hartfield with 7.90m (+0.2) beat Jeff Henderson’s 7.87m (-0.9) in the long jump. Tori Bowie achieved the best women’s result with 11.03 (+0.4) in the 100m clearly ahead of Kelly-Ann Baptiste’s 11.30. Tiffany Townsend won a close 150m in 16.99 (-0.1) just ahead of Shalonda Solomon’s 17.01. Britain’s European champion Tiffany Porter got 12.94 (0.0) for the sprint hurdles win ahead of Sharika Nelvis’ 12.98 and world champion Danielle Williams’ 12.99. Katie Nageotte was best in the pole vault with 4.50m as Olympic champion Jenn Suhr withdrew after warm-up. “Warmed up today decided not to vault. Never took a jump…DNS. Can’t push anything with trials around the corner,” Suhr said on her Twitter. Churandy Martina showed he will be the top favourite for the 200m at the European Championships later in July in the same stadium where he won the national title in 20.11 (-1.7). It is second fastest by a European in 2016. In second, Solomon Bockarie improved to 20.44. Themen Kupers won the 800m in a 1:45.25 PB and Erik Cadee the discus with 61.47m. Tessa Van Schagen won the 200m in a 22.86 (+0.4) PB, Sanne Verstegen the 800m in 2:01.38 and Melissa Boekelman the shot put with 18.09m. In the 5000m, Susan Kuijken won in 15:37.26 ahead of Jip Vastenburg’s 15:38.23. Jared Ward, who is set to compete in the marathon for the US at the Olympics in Rio this summer, took first place in the half-marathon in Seattle’s Rock ’n’ Roll Marathon in 66:00. Kara Ford was the winner in the women’s half-marathon with 79:58.